DOVER (April 27, 2017) – Through a new public awareness campaign beginning today, DNREC’s Division of Fish & Wildlife Mosquito Control Section urges residential and business property owners throughout the state to empty all standing water sources, large and small, to reduce mosquito-breeding habitat on their properties. The “Look About, Dump It Out!” campaign will be featured in television and radio public service announcements, billboards and public outreach. Items that should be drained or otherwise rendered unable to hold water include: discarded cans, buckets, jars, jugs; tires; clogged/improperly draining rain gutters and flexible downspouts; flower pot liners; stagnant bird baths; ornamental ponds; uncovered dumpsters, trash cans and lids; pet dishes and animal troughs; abandoned swimming pools and kiddie pools; children’s toys; upright wheel barrows; depressions in tarps; boats with drain plugs in place; abandoned vehicles and large household appliances. Nineteen out of the 57 mosquito species found in Delaware are known to bite humans and several can transmit mosquito-borne diseases. Of these, two are short-distance flyers that breed primarily in artificial container habitats commonly found in urban or suburban locations and some rural areas. 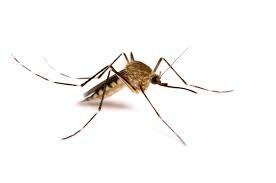 The native common house mosquito is primarily a nighttime biter but is also active around dawn and dusk, and is the primary transmitter for West Nile virus in Delaware. The non-native, invasive Asian tiger mosquito, which bites during daylight hours and around dawn and dusk, is a secondary vector for West Nile virus in Delaware, but is also known to carry dengue fever, chikungunya and Zika virus in other parts of the world. Both species can be difficult to control with insecticides, with eliminating breeding habitat the best means of population control. For more information about Delaware’s Mosquito Control program, please call 302-739-9917.